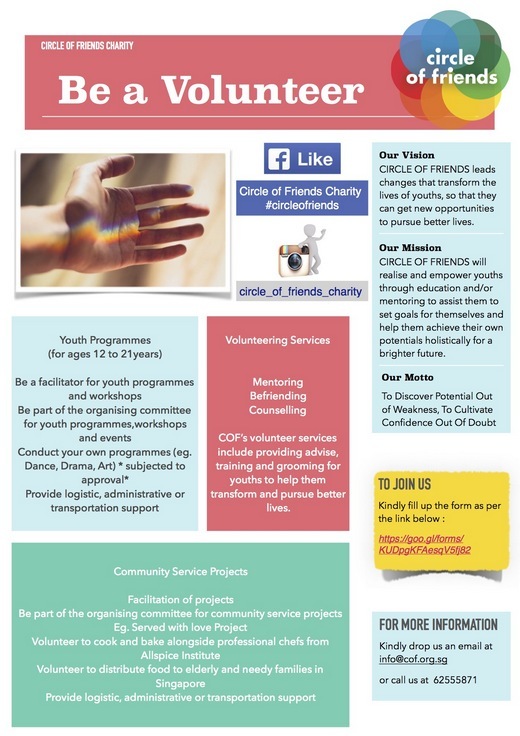 Circle of Friends is looking for a team of volunteers who will be interested in various opportunities including mentoring and befriending youths at risk, cooking and serving elderly in our community and being part of our programmes, events and workshops through facilitation and logistics support. 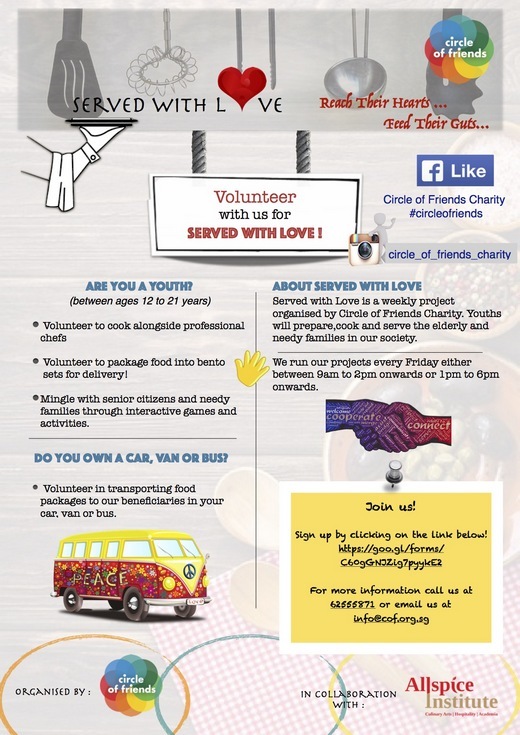 Anyone from all walks of life are welcome to join as volunteers! Should you be keen to join, please refer to the brochure for the link.